A Dundee woman is knitting jumpers like her life depended on it. Knit to freedom. One lady is knitting like her life depended on it. 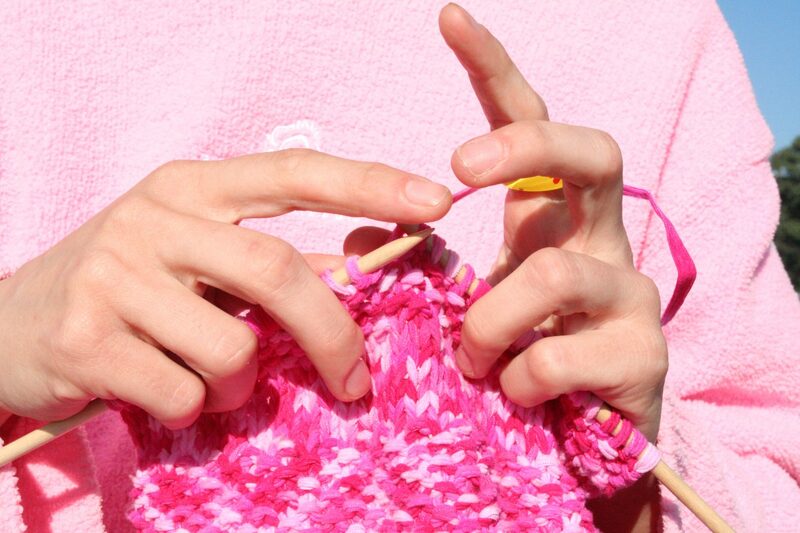 A woman from Scotland is facing a busy few months after a judge set her a knitting challenge that could be the difference between freedom and a spell behind the bars. According to a report from The Courier, Dundee resident Amanda McCabe was set the challenge by a Scottish judge as a means of backing up her claims in a case of alleged road rage. McCabe has been accused of tailing another motorist, Claire Smith, before boxing her in and proceeding to open the driver’s side door of Smith’s car and punch her in the face. But McCabe claims the pursuit was a coincidence, telling a Dundee Sheriff Court that she was actually in the area to visit a specialist wool shop. McCabe claimed she was an avid knitter and was merely stocking up on supplies so Sheriff Rafferty decided to set her a challenge. “If you are a skilled knitter then I am sure that you could produce some goods for charity,” he said. “You will bring to court several items that you have knitted that you are prepared to donate to a charity shop. “It will not be a meagre amount. You have committed a serious offence. Due to return to court on December 14, McCabe has already has already admitted to assaulting Smith in January of this year. With sentencing deferred until December for good behaviour, McCabe now faces a race against time to produce the items requested or she could yet face a custodial sentence. Having already claimed she could knit a jumper in around two to three days at a cost of around £7, McCabe may be quietly confident of completing the task at hand. In that case: any chance you could knit the loaded team some gloves? Summer is not panning out in the way we would have hoped.